Serena No. 1 Again. Still Time to be Best Ever? In summer 2009, Serena Williams was playing a mandatory tournament in Cincinnati against a woman most people have never heard of, Sybille Bammer. By “playing,” what I mean is that Williams was there, on the court, holding a racket. 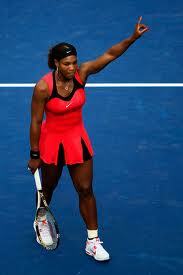 Bammer won that day, as Williams, the best player in the world, committed two unforced errors per game. A bad day? No. Williams wasn’t trying, or at least she wasn’t fighting. In tennis, it’s called tanking a match. So ticket-buyers and tournament officials were angry. Williams was in a stretch of 17 straight months where she wouldn’t win any tournament unless it was a major. In every nowhere she went to, she lost to nobodies, often in the first round. Or she faked an injury and didn’t go at all. She went to one tournament saying she was going only to avoid being fined an amount that would equal her remodeling budget. She went. She left in the middle of a match. On Monday, Williams regained the No. 1 ranking in the world. 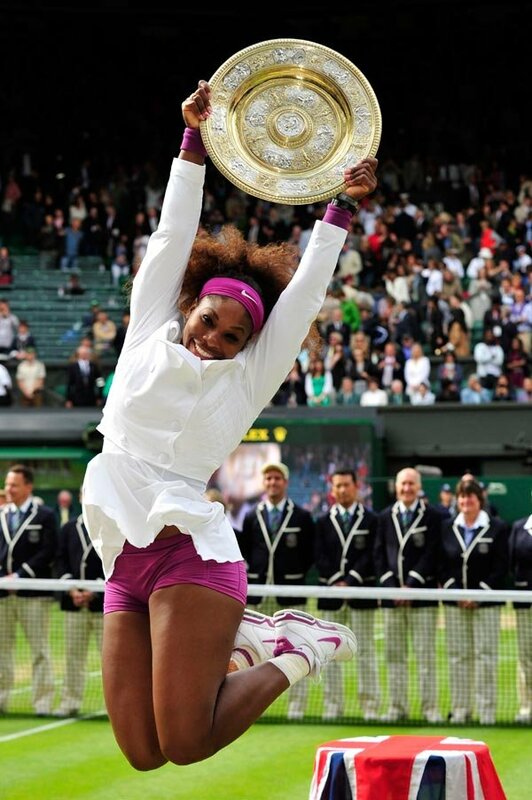 She’s 31 now, the oldest woman to hold the top spot. It’s a big deal, a huge accomplishment. And as much as she has downplayed the No. 1 ranking, it meant a lot to her. Last week, when she knew she had done enough to move to No. 1, she cried. A few years ago, I thought Williams was showing a serious lack of respect for the sport and the fans by not trying unless a tournament was a major. At one point, Chris Evert wrote her a letter begging her to focus, saying she could reach incredible heights. Well, Williams did it her way. Roger Federer is going to beat Novak Djokovic Friday in the French Open semifinals. The washed-up old guy is going to end the never-ending streak, beat the unbeatable player. He is going to ruin the coronation that everyone thought this tournament was all about, and remind people that he’s still here, still on the mountaintop. This is Fab Friday at Roland Garros, as the world’s top four men’s players are meeting up. First, it’s Rafael Nadal against Andy Murray. Murray has been playing on a sore ankle, and Nadal finally found his mojo in the quarterfinals. I’ll take Nadal. But why Federer, when Djokovic has surpassed him and keeps looking stronger and stronger while Federer is starting to show age? Well, to me, everything is lining up perfectly for Federer. Every Federer flaw is negated, every strength enhanced. The predicted heavy winds, the new Babolat ball, the buildup, the slow clay. It all adds up on Federer’s side. Plus, Djokovic has to lose sometime. Plus, Federer has won the French before. Plus. . .
Novak Djokovic doesn’t just have Rafael Nadal’s number, he also has his address, his email, his Facebook page and his girlfriend’s number, too. Four straight wins over Nadal in the past two months, including Sunday’s 6-4, 6-4 win in the Italian Open. So the French Open starts this Sunday, and the chase is on now in men’s tennis. But it’s going in reverse order, with No. 1 trying to catch No. 2. Djokovic has blown right past Nadal. And maybe I’m just in denial or something, but I still think Nadal is going to win the French. If so, it will be a typically goofy moment for tennis’ goofy computer rankings, as Nadal beats Djokovic in the final to re-establish himself. He will have won four of the past five majors, including two final wins over Djokovic. Next day? Djokovic will climb over Nadal to No. 1. That’s how this is set up. Whatever. If Djokovic wins, everything makes sense. And at this point, that’s what most people expect. There are no more excuses or reasons for Djokovic beating Nadal. It’s not that Nadal is coming back from injury, or that anything can happen on any given day. 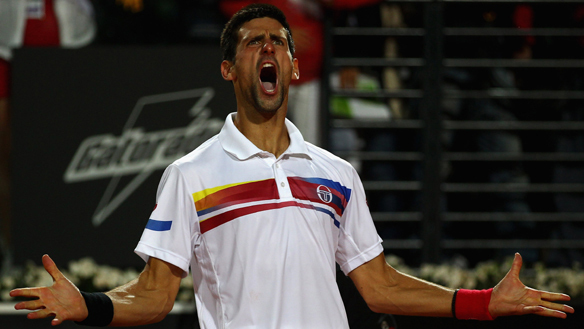 In Madrid, the high altitude and speedy clay favored Djokovic. In Rome Sunday, no altitude issues, healthy Nadal, French Open-like clay and conditions. But I don’t think this was the moment when Djokovic finally made his point to Nadal. That happened a week earlier, in Madrid. This was the moment the chase started. On Sunday, Nadal was making an unbelievable concession. Instead of waiting to see how he would do against Djokovic with circumstances favoring him, he cut and ran. Nadal was acknowledging that Djokovic is better now, or at least that he’s playing better. It wasn’t the denial we saw in Roger Federer when Nadal passed him. It wasn’t the stubbornness we saw from Andy Roddick for years after the top of the game passed him.